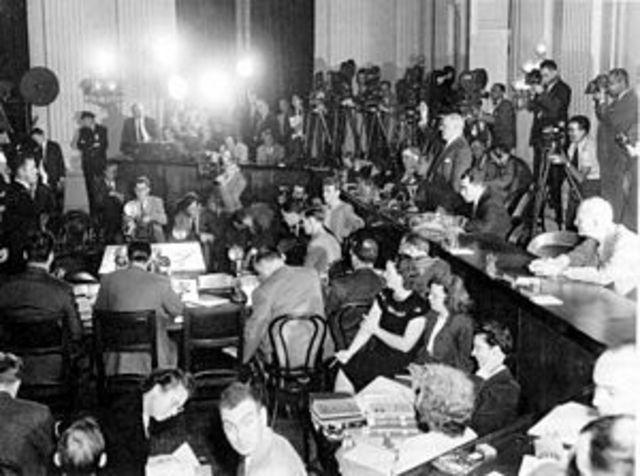 A committee whos purpose was to ferret out suspected Communist spies. The Final Battles of WW2 in Europe. Began the cold war. 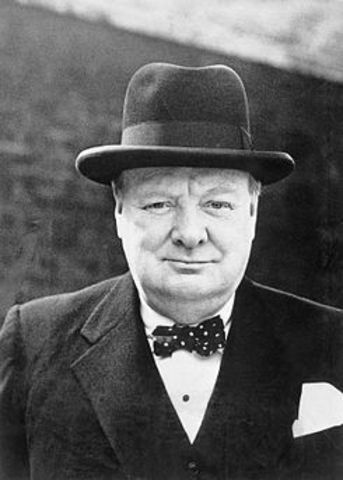 Winston Churchill's speech at Westminster College warning of the Soviets. A civil war between Chinese communist and Nationalists. 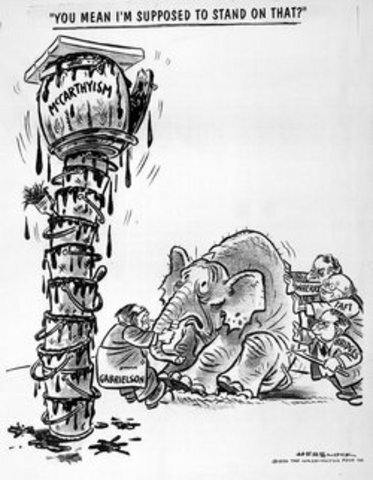 The USA backed the Nationmalists. Americas continued aid to Europe to help rebuild their infrastructure and economy. 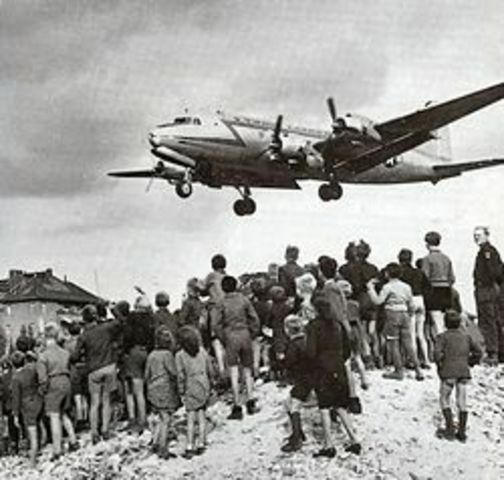 An attempt by the Soviet Union to seize control of West Berlin by cutting off supplies. The USA and it's allies flew in supples for 1 year. 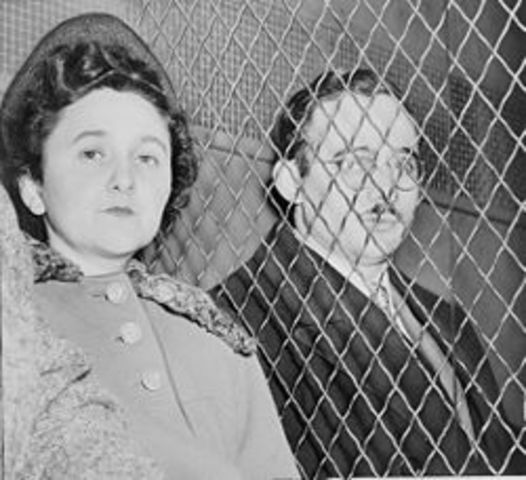 Julius and Ethel Rosenburg were charged with, and found guilty of Treason. 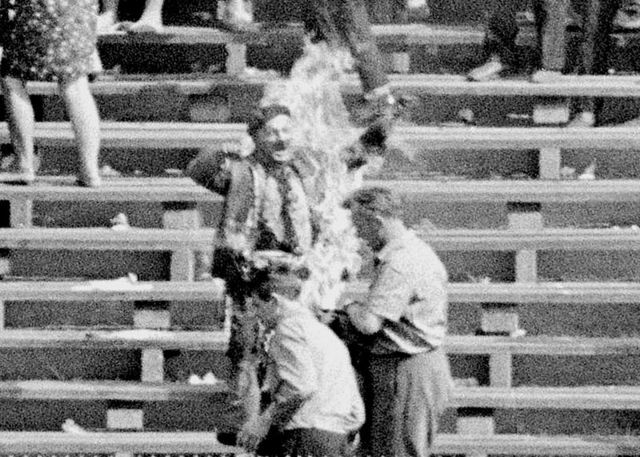 Executed in Ossinger, New York. 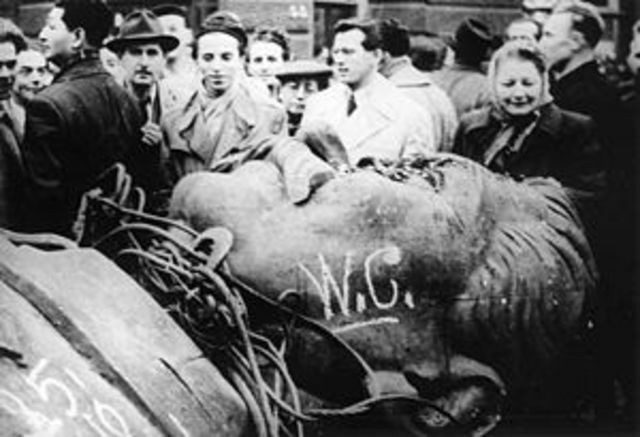 A nationwide revolt against the Soviet Union by Hungarian Nationalists. 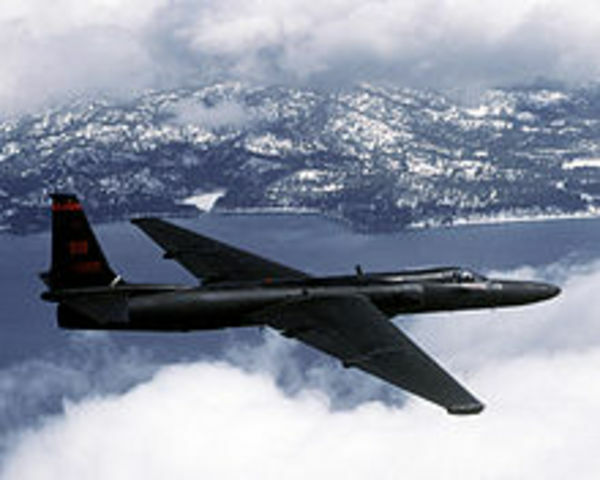 A United States U2 spy plane was shot down over Russia. 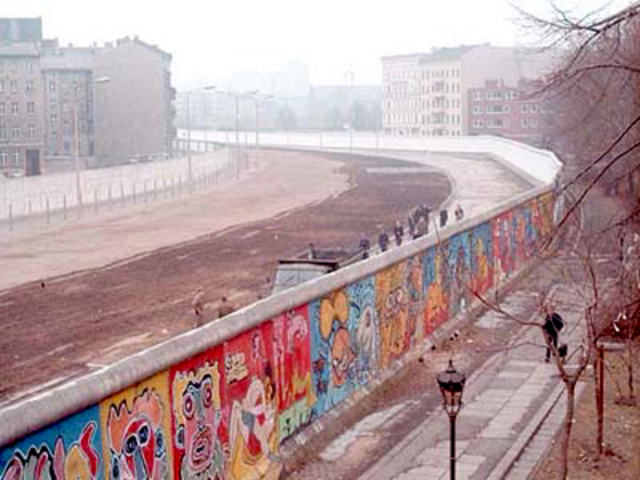 In an effort to keep East Berlin citizens from leaving to the west, the Soviets built a wall. 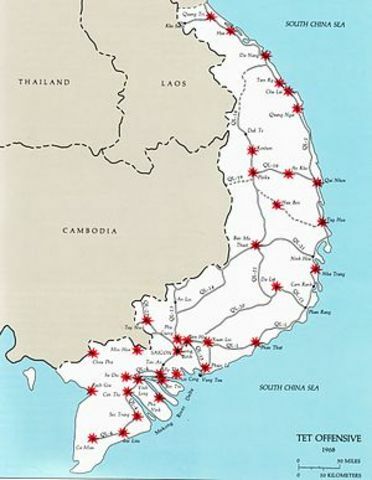 The Soviet Union placed nuclear Missiles in Cuba. Led to a tense 13 day standoff between the USA and the Soviet Union. A treaty banning the testing of nuclear weapons in the upper atmosphere, underwater, and in space. 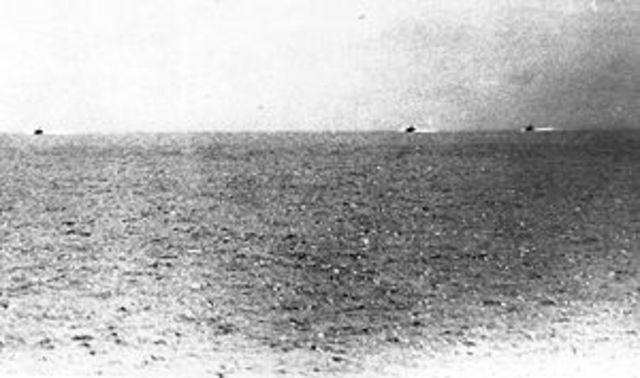 A battle between the USS Maddox and 3 Vietamese Submarines. 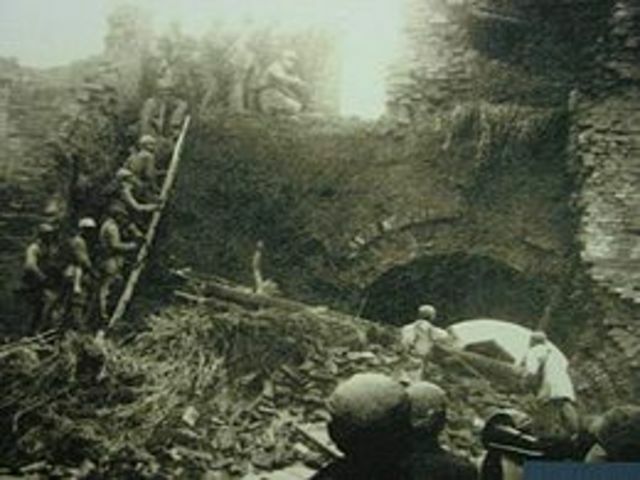 A surprise attack by the Vietcong during Tet in the Vietnam War. An invasion by the Soviet Union and main Warsaw members to stop reforms in Czechoslovakia. Was Successful. 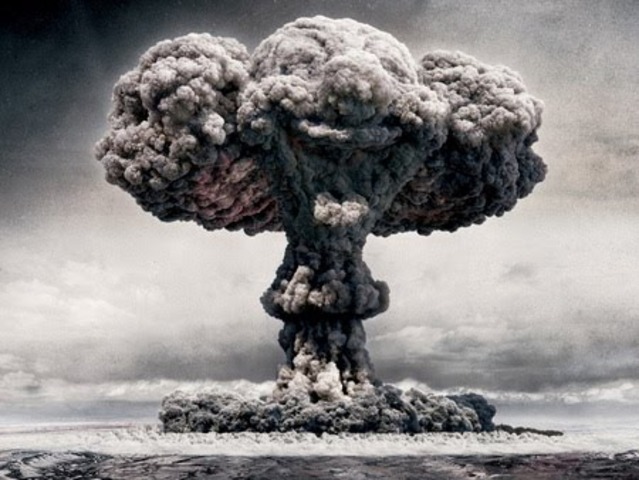 Talks to limit the number of Nuclear Missiles in the world. Kept the number static. 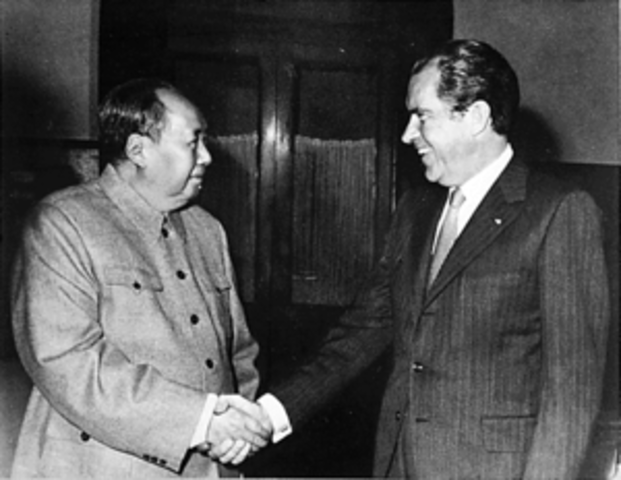 A visit to China by Richard Nixon. An important step in Diplomatic Relations between the two. 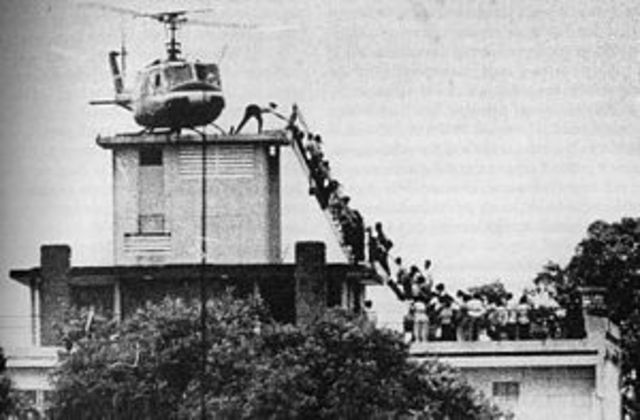 The Capture of Saigon by the North Vietamese, ending the war. 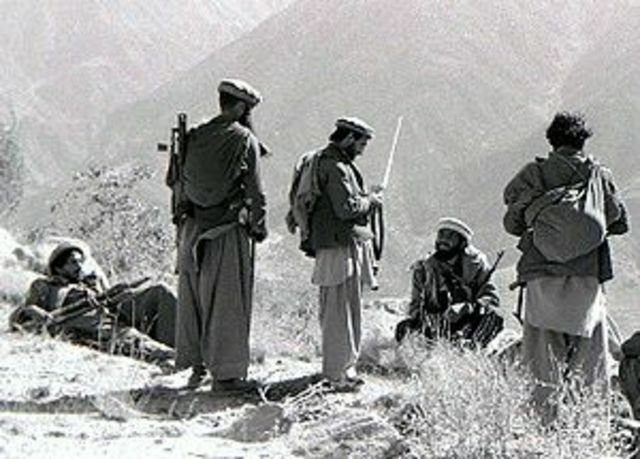 A conflict involving the Soviet Union where the backed the Afghan marxist government against the USA and UAE backed Mujahideen guerillas. The Soviet invasion of Afghanistan led to the USA and other countries boyctting the Moscow Olympics. 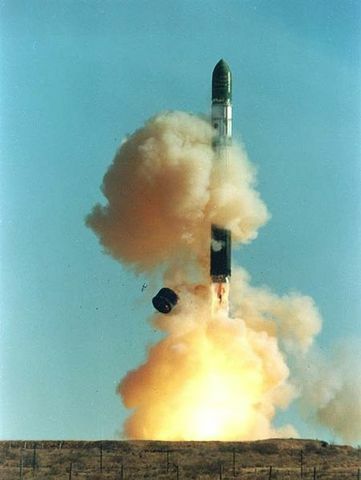 A defense system proposed by Ronald Reagan to defend America from ICBMs using ground and space based systems. The Berlin Wall is shut down, and begins to be torn down. 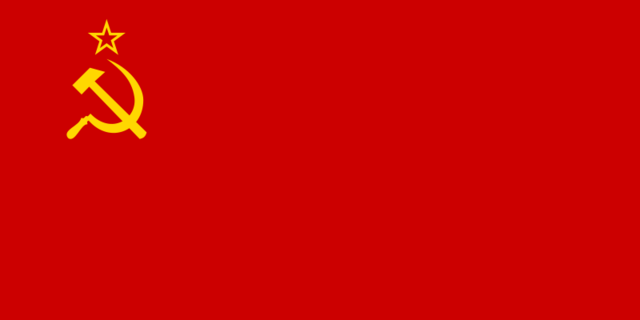 The Soviet Union is broken up and dissolved. An armed revoltution led by Fidel Castro to overthrow Batista. Succeeded, leading to the communist Cuba of today.